269 Facebook Updates Algorithm. Bloggers, Pay Attention! 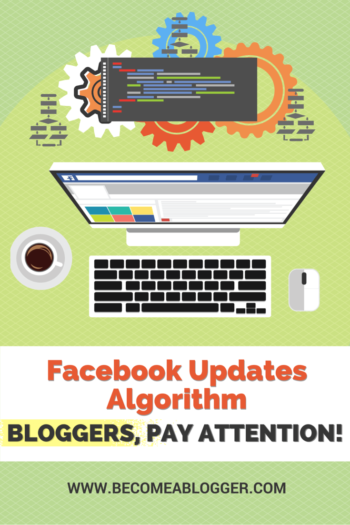 Have you noticed Facebook’s recent algorithm change? Are you wondering how it will affect you? In this episode, I talk about Facebook’s latest algorithm change and what you as a blogger can do to continue building your business in spite of it. You need to be paying attention to these changes because they will affect how you reach your fans and followers not just on Facebook but across social media platforms. Facebook Updates Algorithm. Bloggers, Pay Attention! Facebook’s history shows a pattern that can help us predict what might happen next. By knowing Facebook’s history, we can make better decisions about how to use it now. 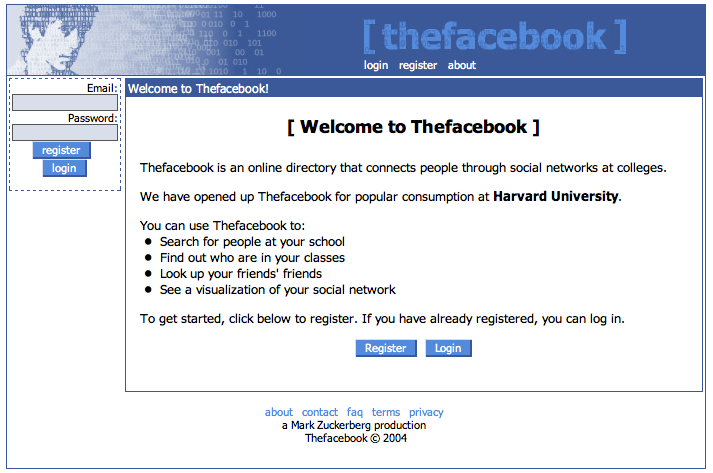 Facebook was founded in February 4th, 2004 as thefacebook.com. It started off just being a way for college kids to connect with each other online. But as we know, it absolutely exploded and became a huge phenomenon. On November 7th 2007, Facebook introduced fan pages. This was a significant change, because it shifted the demographic of the platform from college students to young professionals. And at that time, it was relatively easy to reach your fans. If you posted something to the fan page, you could be pretty sure that your fans were going to see it in their news feeds. So fans became very valuable, and you could even purchase more fans. Facebook actually encouraged this. The idea was that more fans meant more people were seeing the posts to your fan page. On March 30th 2012, Facebook introduced Timeline for all pages. Prior to this point, timeline had been opt-in for fan pages. The idea was that Timeline would be a unique opportunity to tell your story in a more engaging way. But this is the interesting thing: people started noticing that it was becoming harder and harder to reach their fans. And as time went on, the problem seemed to get worse. People started complaining. And so a study was conducted. And it showed that organic reach–that is, influence that you’re not paying for–had dropped drastically between 2012 and 2014. In 2012, organic reach was about 16%. By 2014, it had declined to 6.5%. That’s more than a 50% decrease. 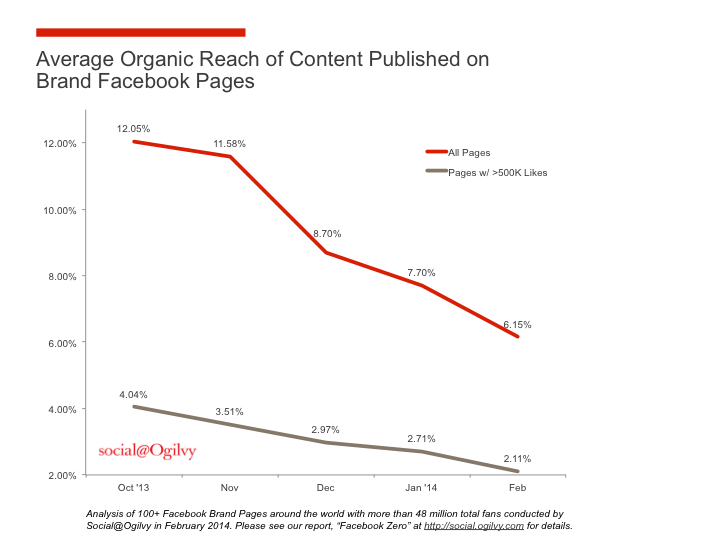 And for very popular pages, with 500k likes or more, organic reach has dropped to just 2%. Let’s put that in perspective: that’s one-fiftieth of your fans that you’re reaching through Facebook. If you had 1000 fans, you’d be reaching just 20 of them. And this decline has only continued since 2014. It’s actually even worse now than it was a couple years ago. So basically, they’re saying nothing. And every time they make these kinds of statements, organic reach seems to go down significantly. On June 29th 2016, Facebook announced another big change. They’re building a “better newsfeed” for you. In essence, they’ve said that the new newsfeed will feature friends and family at the top of your feed. This makes perfect sense: these are the people that you come to Facebook to connect with. These are the people you care about. And Facebook made this decision based on data it gathered from its users about what they want to see. After you’ve seen updates from friends and family, Facebook’s data shows that you want your newsfeed to inform and entertain. You want to know what’s happening with the latest celebrity scandal. You want to see that great cat video everyone’s been talking about. These are the reasons that regular people use Facebook. Now, when Facebook has made changes in the past, and they’ve said that reach may or may not decline, it went down significantly. So when they actually come out and say that it’ll decline, you know it’s going to go down even more. So what do I think about all this? Actually, I think Facebook is being smart. They’re doing what they need to do to survive, and they’re doing what’s best for their business. People don’t go to Facebook to be marketed to. And there’s a lot of crap on Facebook that clutters up your news feed. There’s also been a huge decline in people posting stuff about themselves on Facebook. If that trend continues, Facebook could be the next MySpace, and they obviously don’t want that to happen. So this change needs to happen. I actually think they’re doing the right thing for their users and their business. They need to keep bringing people to that platform, because more users means more money for them. And they have their investors to think about, too, because Facebook is a public company. So this is a good business decision. 1. The only constant is change. Facebook will continue to update its algorithm, and what worked yesterday will not work tomorrow. What works today won’t work in the future. So we need to be prepared to keep changing. 2. 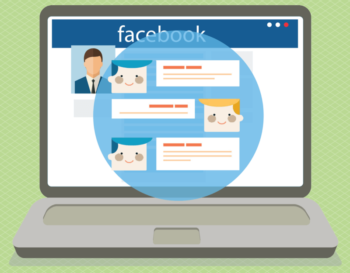 We can no longer depend on Facebook for organic reach. Organic reach might not be dead just yet, but it’s definitely on life support. The exceptions are things like video and especially live video, which Facebook is privileging right now. 3. This is bigger than Facebook. The algorithm thing has worked really well for them, and other social media networks are following suit. Instagram, Twitter, and Pinterest all use algorithms now. Is Snapchat next? It’s the logical progression for a network as it gets bigger and bigger. The first one was content. And the third one…oh yeah, CONTENT. Here’s the reality: building a blog is harder than ever, but it’s also more essential than ever. Social media will change all the time, and you don’t have any control over that. What you do control is the quality of your content and your platform. 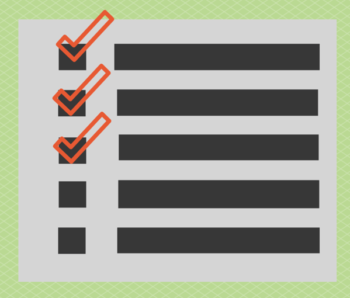 If your blog is strong and you’ve got a great email list, who cares what Facebook is doing? Get the job done. Put out great content. 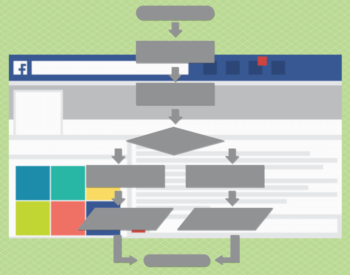 Play around with strategies for moving people from social media platforms onto your page. 3. Build your email list. This one is actually really, really important. This should be your primary focus. Don’t leave yourself at the mercy of Facebook. Make sure everything you do has the goal of getting people onto your email list. This keeps you in control of your business, and it’s more important than ever. 4. Have a business model. If you’re just winging it, and you don’t have a plan, you’re not doing everything you can to build your business. If you don’t know how to make a business plan, you can search around online, or join my coaching club. YOU should be in control of YOUR business, not Facebook. Stop focusing on building up Facebook’s business (and Twitter’s and Instagram’s and Pinterest’s…) and start focusing on building yours. Man! Leslie, This was so amazing. Thanks for history lesson and predictions. It was very motivating! You’re right on about building an email lists. It’s the same reason why building your own website, as opposed to building a Facebook page is wise – because it’s a piece of online real estate that you control. Thank you for bringing this to light Leslie. Well, well, well. I knew it was going to happen eventually. However, the good news- like you said- is to continue doing what we should be doing anyway: building trust with our followers and building our mailing list, and having a plan in place. I haven’t been much good at growing my page, but I’m beginning to see so much value in building my group, so I think I’ll be putting more energy there as far as FB goes. Thanks for this heads up!